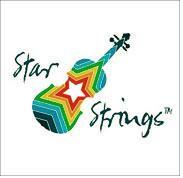 Star Strings is a musical initiative in which young and not so young learn the violin, piano and theory of music in a fun way. 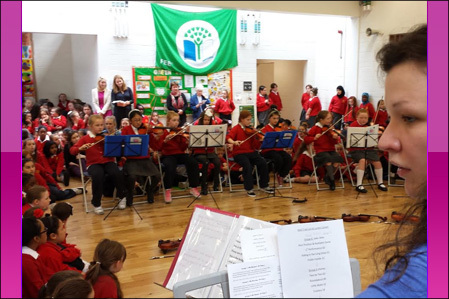 Primarily based in Wicklow, Ireland – It has expanded to Kildare and schools in Dublin in recent years. Be the Star You Know You Are. We had a fantastic wedding day and one key part of setting the mood of the day for us and our guests was the beautiful music by the contralto singer and organist. We had the chance to decide the songs of our choice. Thanks a million to both of u for providing a memorable & touching sound track to our special day. Just returning to earth after the best few weeks ever. In sorry that we didn’t get to chat on the big day.. the whole thing was a bit of a blur!! I do however remember the music in the church-so many of our friends and family commented on it-Thank you and all of the guys so much and also for all your help in the preparation!! I will be recommending you highly. Best of luck in the future. Hi Naomi & Darren, Thank you for the fantastic job you did on July 1st; you came highly recommended to us and we were delighted with the result. We’ve had numerous compliments from our guests regarding the music, and thank you for being so helpful with our choices. Very best regards. We were so fortunate to have GraceNotes String Quartet perform at our wedding ceremony and reception on July 19, 2014. They made our ceremony so intimate by arranging a string version our favorite song for the bridal processional, which turned out SO perfectly. They were not only extremely talented and professional, but also very helpful & accommodating via emails & phone calls as we were planning our ceremony music. We hired Grace String Notes to play at the ceremony and the reception of our wedding. Several of our guests mentioned how the music contributed to making our day so special. They were terrific. Grace String Notes have a wide variety of songs which they can perform. They play them beautifully as well. We just received our Wedding DVD before heading off on honeymoon and I was so eager to listen to your beautiful music, which truly made our ceremony come alive. An extra special thank you for performing ‘Nocturne’ from Secret Garden for me, it captured the very essence of what I dreamed of. Thank you for providing the perfect soundtrack to our wedding ceremony.